I love working with clients who are “going for the gold.” My clients are achieving greater personal and professional fulfillment as well as making extraordinary contributions in the world. As your coach, I am your partner and champion, supporting you to take your life and your coaching career to the next level. Through coach mentoring, you will accelerate your learning and coaching skills development, as well as your confidence and credibility. Specializing in offering Coach Mentoring programs for my private clients, customized for you and your needs. I am one of the pioneers and leaders in the field of coaching. In 1991 I founded the Living Your Vision ® process and then founded the Academy for Coach Training in Bellevue, Washington in 1997, serving as President and CEO until 2006. We developed curriculum that provided a highly recognized spiritual approach to coaching skills training aligned with transformational principles and skills. Through the Academy, as well as in association with Antioch University, and currently with the Adler International School in Toronto, I have trained and mentored hundreds of coaches to their accreditation. 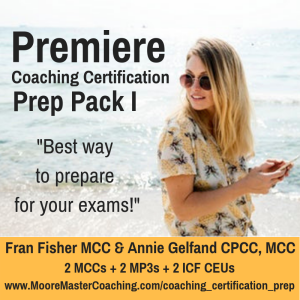 NOTE for Mentoring Clients: As a Master Certified Coach trained by ICF as an exam Assessor, your coaching hours with me will count toward your minimum 10 hours requirement for your ACC or PCC or MCC application or three-year renewal for ACC’s. Inspiring Competence is for experienced coaches who are passionate about continuous learning and personal growth adventures. Helping business owners get beyond status quo for living life and doing work with heart and soul…EBC is a program focused on business development for coaches who are motivated to breakthrough to their next level of personal and business success. Package of 10 one-on-one mentoring sessions, in a variety of formats, including three way live calls with your private clients(s), recorded calls for my review, and other creative skill building activities. A letter of recommendation for your ACC, PCC or MCC application, if needed. In the spirit of “COACHING FOR LEARNING, GROWTH, AND TRANSFORMATION”, I offer a unique mentoring program for coaches. 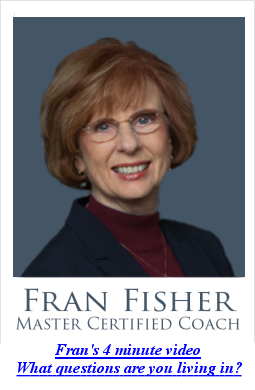 Sharpen your transformational coaching skills. Breakthrough the glass ceiling of your limitations. Raise your power and effectiveness as a transformational coach. Deepen your self-trust and confidence. 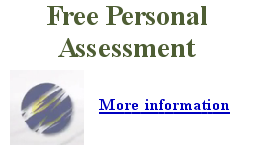 Generate a personal breakthrough: transform YOU/transform your coaching. A written assignment for designing your Breakthrough Intention. Three mentoring feedback sessions, scheduled at your convenience. You will coach your own client and then receive empowering feedback from me focused on the ICF Core Competencies and the Ethics and Standards of Coaching. A letter of recommendation for your ACC, PCC, or MCC application, if needed. This is for experienced coaches who are passionate about continuous learning and personal growth adventures. I invite you to step into an intimate learning environment with like-minded and like-spirited peers.